One of the biggest challenges for independent authors is getting your book reviewed. The standard review magazines and sites generally won't consider self-published books, or else they charge a substantial fee and place the review in a separate newsletter. Some independent reviewers do web site reviews of indie books for free, but they tend to have a large backlog of submissions. So how do you spread the word? One way is to give away review copies – similar to publishers sending out advance reader copies. You can offer these on listserves or when guest posting on other writers’ blogs. You can also offer giveaways of your books on sites like GoodReads, although they don't allow e-book giveaways right now, so you'll have to pay to mail the print copy. The readers who take your free books may or may not choose to post reviews, but in your offer you can politely ask that they do so if they like the book. When I gave away a copy of The Ghost on the Stairs a couple of years ago, the receiver blogged about the book with favorable comments. You may also find times when it's necessary or useful to pay to get your work in front of reviewers. The trick is to make sure you're getting value for your money. One site that sounds interesting (which I found via a post on Joe Konrath's blog, A Newbie's Guide to Publishing) is BookRooster.com. According to their website, "BookRooster.com is a community of over 2,350 passionate readers/reviewers drawn from BookLending.com and other Kindle reader communities. We organize the distribution of review copies of your novel (in MOBI format for Kindle) to reviewers in exchange for their objective Amazon customer review." You pay for distribution (currently $49). They make the electronic format of your book available to reviewers who have expressed an interest in that genre, until 10 reviewers have posted customer reviews on Amazon. These may or may not be favorable reviews, but BookRooster does supervise reviewers to ensure professionalism. A larger number of Amazon customer reviews can persuade people to buy your book, and the reviewer may also spread the word or buy your other books if she likes your work well enough. I'm testing BookRooster with Rattled. Because of their backlog, the book won't be made available to reviewers until the end of July. We'll see what happens then. Have you come across any interesting review sites or blogs that accept indie books for review? Last week I discussed how to identify and develop your theme. That helps overcome the problem of a weak or confusing theme. But I also sometimes critique stories where the author seems to be trying to explain everything they believe about life, the universe, and... well, everything. For younger readers and short stories, you need to keep the theme simple. The longer the story or novel, and the older the reader, the more complex you can be. At first a book may appear to be a humorous romance, but as the story unfolds, it may reveal a theme about honesty in relationships. Your theme doesn’t have to be obvious from your first paragraph, and probably shouldn’t be. In fact, the theme may only be clear from the final twist in the story. The theme can be revealed through what the main character learns, how she changes, what she gains or loses. As part of your revisions (or in the planning stage, if you are really organized), work on your character in order to set up your theme. Use her virtues and vices. How will her strengths help her? What weaknesses does she have to overcome? Make sure these tie into the theme. In The Well of Sacrifice, Eveningstar discovers that she can't count on other people to solve her city's problems -- she has to act. Her courage and deep-seated honesty help her, but she has to overcome the shyness and insecurity that would prefer to let others take center stage. For longer works, think about how you can use other characters or subplots to support or expand on your theme. Maybe your main character learns to be honest in her relationships, and so develops a loving connection with her boyfriend. In contrast, her friend might keep lying in order to make a good impression, and get dumped, or wind up with a shallow, dissatisfying relationship. A subplot with the main character’s divorced parents could explore the theme in yet another way. Multiple themes can give a novel extra depth and power. However, don’t let your story get cluttered with too many themes, especially wildly different ones. If you try to share everything you believe about life in one story, it will just feel cluttered and confusing. Focus on one primary theme, and save the others for different works. 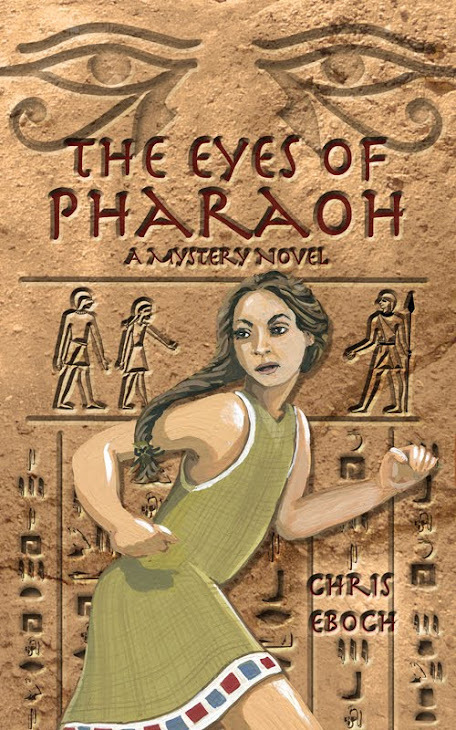 For example, my middle grade historical mystery, The Eyes of Pharaoh, touches on immigration issues and homeland security (in ancient Egypt, but relevant today). But my main theme can be summed up by these words spoken by Pharaoh toward the end. That brings the political commentary down to a personal level and focuses on the main theme -- that supporting your friends and family can sometimes be more important than focusing just on your own success. So for short fiction, keep your theme simple and focused. For longer work, you can delve more deeply into the nuances of your theme, but it's still best to have a single primary theme. You can explore different aspects of that to give your story depth, but don't try to share everything you believe in one story. One of the first lessons children’s writers hear is “Don’t preach,” so by now you know better than to end your stories with obvious morals. However, many writers, even advanced ones, suffer from a different thematic challenge. The theme may be unclear, perhaps even to the writer herself. As this successful novelist shows, you don’t always have to know your theme before you start. Sometimes, you may discover your message as you write the story. Or you may start with one idea in mind, and change it as you go. You may even realize that you don’t quite believe your original theme-writing the story may help you explore new aspects of that idea, uncovering complexities and contradictions. This can result in a deeper, more meaningful story, so let that process unfold. When trying to identify your theme, start big and then narrow your focus. Can you define your theme in one word? Is it about love, hope, courage, sacrifice? Once you’ve identified that word, try to state your theme as a single, clear sentence. What do you want to say about that word? For example, if your novel is about sacrifice, what about it? Is your character making sacrifices for her own future, for a loved one, for her country, for an ideal? What does she have to sacrifice? Narrowing in on the specifics can help you pinpoint your theme. Once you’ve clarified your theme, work backward. Does your novel truly support it? Maybe you’ve decided that your theme is “The greater good is more important than the individual’s desire.” In that case, your main character should be giving up a desire in order to help a larger group. But perhaps you liked your character so much that you ended with her helping the group and getting what she wanted as well. That weakens your message, and suggests a different theme, “Good will be rewarded.” You might want to reconsider your ending. Try to envision all the different messages someone could get from your story. I’ve read various unpublished manuscript about characters (usually young animals) who are ostracized because they can’t do something common (a bee that can’t buzz, a lion that can’t roar, a dachshund that can’t jump hurdles… whatever). Then, of course, something happens that requires that characters special talents, and he proves himself to the community. Besides the fact that this story has been done (Rudolph, anyone? ), I question the theme. The writer wants to say that everyone has special qualities. Instead, her story could suggest that you won’t be accepted unless you prove yourself through heroic action. That might encourage kids to look for ways to show off, rather than to accept themselves as they are. Having readers miss your intended theme can become a big problem, if they are seeing messages that go against your beliefs. Find a few people to read your story and ask them what message they take away. Make sure their response is in line with your ideals. Don’t expect your readers to all pick out your theme exactly, however. If they do, you’re probably not being subtle enough. Just make sure they find a valuable message. 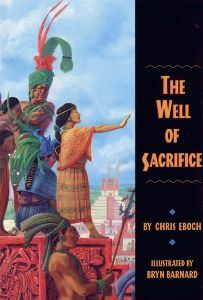 In my Mayan historical adventure for kids, The Well of Sacrifice, I knew my main theme: make your own decisions and stand on your own. My heroine, Eveningstar, learns that she can’t depend on her heroic older brother, her parents, the government or religion to solve the city’s problems. When they all fail her, she has to act by herself. One young reader wrote me and said, “The book…helped me think to never give up, even in the worst of times, just like what happened to Eveningstar.” I’m happy to inspire a reader to “never give up,” even if that wasn’t my main theme. And perhaps readers will be subtly influenced by my primary message, even if they don’t recognize it while reading. Next week we'll look at what happens if you have too many messages. You hear a lot of reasons why self-publishing is a bad idea. (Some of them may even be true.) One often-repeated statement is that self-published books won't be carried by chain bookstores. Actually, Amazon's print on demand CreateSpace does allow you to sign up for an "extended distribution" channel that allows libraries and bookstores to order your book. That's no guarantee that they will, of course. But neither is traditional publishing. R.L. 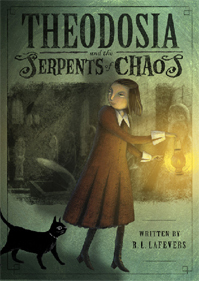 LaFevers, author of THEODOSIA AND THE SERPENTS OF CHAOS, wrote about WhatHappens When The Chains Won't Carry You on Shrinking Violet Promotions. Here's a quote: "When the book first came out, one of the chains had placed a big initial order for the book while the second chain ordered zero copies. Of course, I panicked. Surely I would be handicapped from the starting gate! That book came out in 2007, so it's not even a victim of recent bookstore closings. Yes, it's great to get your book in stores, especially the big chain bookstores (though small independents may do a better job of hand-selling specific titles). Bookstores are not, however, the sales channel that will make or break most books. Yesterday my guest, Karen Elliott, offered advice on how to hire a professional proofreader/copy editor. But what if the cost is just too much? You may have other options. I arranged an exchange with a writer friend who also works as a proofreader. She proofed my manuscript for The Eyes of Pharaoh; I critiqued her young adult novel. Here’s Karen with some more ideas. Even with my more-than-reasonable proofreading rates, I’ve had several writers say they just can’t afford it. I can dig it! There are other options available for getting your manuscript proofread and edited. Writer’s group – If you feel you can’t afford a proofreader, join a writer’s critique group in your area. A good writer’s group is invaluable! If you can’t find a group, start one! Exchange services – With other professionals – I’ll read yours if you read mine. Or trade one service for another. I proofread a monthly newsletter for Anne Hillerman and her Wordharvest workshops and in turn get a free ad in her newsletter. This exchange is a benefit to us both. Join Linked In – This is a great way to find other professionals in the publishing industry. There are literally hundreds of groups for writers broken down by genre, e-book vs. print, and a lot of other in-betweens. Online exchange – Join an online exchange group or forum like Fictionaut, Dropbox, Backspace.org, or Yahoo groups for writers. Join Facebook groups – One of my most favorite, supportive, and positive groups is Writer Unboxed. On Facebook there are pages and groups galore! Proofreading sites and blogs – Search for sites and blogs – like Grammar Girl – that share proofreading and copy editing tips. Dictionary Plus – It’s not enough to have a dictionary (or to use an online dictionary). You should have a couple/few other desk references for grammar and punctuation – like The Blue Book of Grammar and Punctuation or Diane Hacker’s Rules for Writers. Subscribe – Pick one or two magazines that are geared toward writers like Writer’s Digest, Writers’ Journal, or The Writer. Every month I find at least a couple of articles in these periodicals worth their weight in gold. If you don’t want to fork over the subscription price, ask for them at your local library. Start saving – Perhaps you could afford a proofreader if you did a little belt-tightening. With the recession in full swing and gas prices sky-rocketing, a plethora of websites with money-saving ideas have popped up. Do you really need a $5 latte every morning? CE: Thanks, Karen, for all the good advice! Readers, remember that you need to recognize where you can legitimately cut corners, and where that will catch up with you. Some people just can’t seem to learn how to spot errors in their own manuscript, no matter how hard they try (dyslexia, anyone?). Some critique groups contain a Grammar Maven, while other critique partners may focus more on content (which really should be their priority). Know what you’re capable of, what you’re getting from others, and when to seek professional help – the proofreading kind, I mean! Yesterday my guest, professional proofreader Karen Elliott, gave us insight into all the things you need to check when proofreading your manuscript. If you are not confident in your abilities, you may want to hire a professional. If you are planning to self-publish, you definitely want your manuscript to have a professional polish before it goes to print. For a full-length adult novel, it may cost $1000 or more for a professional proofreader. Shorter children’s novels may come in at half that. That’s a big chunk of change, but this isn’t the place to skimp. If you are going to hire somebody, make sure they can and will do the job well. Here’s Karen to explain how to find someone who will give your manuscript the attention it deserves. Planning – Start looking for a proofreader the minute you start your book or soon thereafter. Don’t decide you need a proofreader on Monday and hire one on Tuesday. Shop around. Ask other successful writers for recommendations. Ask for Specifics – Ask the proofreader to outline exactly what they consider “proofreading” and “copy editing.” These differ significantly throughout the industry. Put away the hatchet, please – When I proofread and edit for a client, I prefer to suggest changes; I do not make edits for the writer. You should direct how the edits come to you. Style book – Ask them what style book(s) and references they use. If they hem and haw or say, “Oh, I don’t need those things,” run away. Turn-around – Look at their turn-around time – if a proofreader says she’ll have your 100,000-word work of art back to you in two days, that’s just not gonna happen. Contract – Sign a contract. I would caution that if the proofreader doesn’t use contracts, again, run away. Be sure you can accept the contract payment terms, turn-around time, cancellation terms, additional cost for phone consultations, etc. NDA – Ask the proofreader to sign an NDA – non-disclosure agreement. You don’t want your hard work to end up in someone else’s book or in the proofreader’s e-book! You know it’s important to send in a clean, error-free manuscript if you want to make a good impression on an editor. If you decide to self-publish, perfection becomes even more important – and challenging. Despite the number of traditionally published authors now exploring “indie publishing,” self-publishing still has a bad reputation, due to the large number of poor quality books. In some of those, the story is pretty good, but readers get frustrated by typos, grammatical errors, and inconsistencies. Some readers seem to delight in giving books bad reviews on Amazon based on these problems, rather than the quality of the story. Even those of us who are “good with English” or easily catch typos may not be qualified as professional proofreaders. Then there’s copy editing, which is something different... well, I’ll let my guest explain. Here’s professional proofreader Karen Elliott to explore the world of proofreading and copy editing. Welcome, Karen! With self-publishing comes great responsibility. Whether you self-publish or go the way of an agent/publisher, you want to be sure your manuscript makes it to readers as clean as possible and makes sense from Chapter 1 through to The End. I cannot define proofreading and copy editing in finite terms – neither, it seems, can anyone else. I’ll stick my neck out and say “proofreading” is your garden variety punctuation, typos, and spelling. “Copy editing” can range from consistency, subject-verb agreement, verb tenses, and word choice or denotation; more in-depth editing might include substantive paragraph and chapter re-writes through developmental rewriting (overhaul). Consistency throughout a manuscript is a bit of a problem for some writers. It’s not the story’s structure – it’s keeping it all cohesive with consistent language, proper names, and characters’ personalities. Proofreading and copy editing are a challenge – it’s more than just having a dictionary handy. It’s more than what you think you know. Adjust your mind set from “writer” to “proofreader.” Forget that you are looking at your baby, your pet, your sweat-stained manuscript. Once you are ready to proofread and copy edit, it’s a whole ‘nother animal. It’s a project. You are looking for things that are wrong. Read out loud – Read the piece out loud. This will help you hear where there are stops and starts, what’s awkward. Take it a step further – read your MS or short story into a tape recorder, and then listen to it while looking at a printed copy. Print it – Sounds silly, but it makes a difference. You’ve been looking at the project on the screen for a year or two – you need a new perspective – you need to see it on paper. Red pen at the ready! Dictionary and Style Guides – Use the dictionary and style guides like The Associated Press Stylebook or The Chicago Manual of Style, and desk references for grammar and punctuation – like Diane Hacker’s Rules for Writers. First Reader – Do ask someone to look at your MS with a critical eye. My first reader Joanne Ingram (a Master’s student at ASU School of Journalism) is brutal – she slices and dices like a Samurai. Mom or BFF – Don’t ask mom or the BFF to proofread – unless mom was a H.S. English teacher or a proofreader for Merriam-Webster (my mom was!). Your peeps will probably tell you, “It’s wonderful!” or “Fabulous!” Not that you shouldn’t trust them, but you shouldn’t trust them with proofreading your manuscript. Sounds like – Look at words like there and their, you’re and your, and its and it’s. If you know you have trouble with a certain word(s), search for that word throughout your MS. Labor-intensive – yes. But it works. Take a break – Put the MS aside for a few weeks or a month or two. Then go back to it with fresh eyes. Consistency – Check for inconsistencies in where your characters live, where they work, their likes and dislikes, their phobias (don’t say your character is afraid of snakes and then have her holding a python in Chapter 10), favorite foods/allergies (someone is allergic to shellfish and later eats a lobster), and so on. Names, Proper Nouns – Did you call your main character’s boyfriend Allan in the first chapter and Alan in all the other chapters? Electronic Age – The jury seems to be in a dead-lock over new language and emerging language terms that describe the electronic age and new gadgets. Whether you agree with the AP Stylebook or not, if you are going to use words like e-mail or email, web-site or website, on-line or online – each of these words needs to be consistent throughout your manuscript. Who’s talking? – If your English Teacher character is talking prim and proper English in Chapter 3, make sure she’s talking the same way in Chapter 49. Know your props – If you have your police officer with a Glock in Chapter 4, he should still have a Glock in the final chapter. Where are you? – I have often drawn my own maps on a large sheet of paper to maintain perspective. Or use Google maps. If you write Route 83 and Burdick Expressway intersect in Minot, ND, they’d better intersect. If the Sandia Mountains are east of downtown Albuquerque in Chapter 4, don’t put them west in Chapter 18. Excessive or Lack of Punctuation – If a sentence has more than a few commas, it’s difficult to read. Same goes for lack of punctuation. Review long sentences or sentences containing commas, colons, semi-colons, or dashes. CE: Whew, I’m exhausted just reading about all the things you need to do! If it seems like too much, you might consider hiring a professional. Tomorrow Karen will give advice on how to hire a professional proofreader or copy editor, and on Friday she’ll offer tips on what to do if you can’t afford to hire someone. This week's critique is the first page from a novel called Goblin Fruit. The author called it a YA and mentioned 21,500 words. I'm not sure if that's the complete manuscript or what she has written so far, but my first thought is that this is very short for a YA novel. Even middle grade novels tend to be 30,000 to 35,000 words. 40,000 to 60,000 is generally considered normal for young adult novels. Friday, May 21, 2010: Making Muscular Action! Frank Harman buttoned a white lab coat over his tie-dyed T-shirt as he hurried toward the nurse’s station in the maternity ward. Anna smiled at him as he came toward her. "Thanks for coming, Frank. Sorry to take you away from your data compilation." CE: We meet a couple of characters and get a hint of personality, especially from Frank. I'm assuming both of these people are adults, since there's no evidence to the contrary. I'm not sure which, if either of them is the main character yet. The point of view is fairly distant, not really inside either of them. This also establishes the setting. I'm not fascinated, but I'm not turned off either. I am puzzled about who the main character is, especially if this is supposed to be for teenagers. Anna frowned. She looked toward an open patient door and then back at Frank. "The patient gave birth to a baby girl this afternoon." Gesturing for him to follow, she walked to the open door, through which a sleeping young woman and a baby in a clear plastic bassinet were visible. 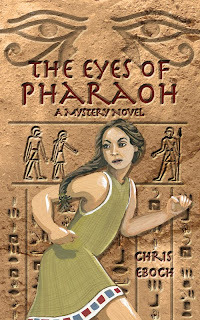 The woman’s golden brown hair formed a halo around her head and she seemed, at least to Frank, to glow in the lighting. CE: Another character, and possibly a hint of something mystical in the way she seems to glow. It's subtle though, not necessarily establishing a fantasy element. "A little," he said hoarsely, before clearing his throat. "A long time ago." CE: So the new mother is apparently also an adult. We get a hint of a past which may be affecting the present. Anna looked at Frank, as though expecting him to elaborate. When he didn't, she went on. "Actually, I know her too. She's an artist. She used to be at some of the art parties Nick and I attend." Looking back toward Sara, who was sleeping soundly, Anna whispered, "She was a real partier. Always the center of attention. I haven't seen her around lately, though. I didn't know she was pregnant." Frank nodded absently, like he wasn't really listening. Anna shook her head. "No complications with the birth. Drug screen came back clean, but I feel like something's off." CE: Phrases such as "as though expecting" and "like he wasn't really listening" keep the point of view distant. We’re not in anyone’s head. I'm still not sure who our main character is. This feels like an adult mystery or drama. That's not a bad thing, if that's what it's supposed to be, but young adult? There seems to be a disconnect between the sample and the title/genre, so much so that I wonder if the author pasted in the wrong sample or if I made a mistake somewhere in copying it. Maybe the baby is the main character later on, and this is a prologue? Then perhaps the story would be better off starting somewhere else. If I were looking for an adult mystery, I'd probably read a few more pages to see where this is going. I would still want to know who the main character is pretty soon. I also personally like a closer point of view, as it seems more emotional, but that's not suitable for every story. For young adult books, however, first person POV is most common these days, with close third person coming second. The feeling is that teens really want to connect with their hero or heroine. This sample does a lot of things well—introduces several characters who are presumably important to the story, hints at a problem, put us in a setting, and has a balance between action and dialogue. It feels more distant than I personally like, but the main problem is the confusion over the target readership age and the genre. Your opening pages make a promise to the reader. They should set up the main character, genre, and style of the story. If this is a young adult novel that has to do with goblins, the opening needs to fit with that. That doesn't mean you need to have goblins in the opening scene, but the opening shouldn't feel like a completely different type of novel. Check out my posts on First Chapter Challenges and StrongStarts for more help. Thanks for sharing! Readers, don't forget that you can get a complete manuscript critique for just $1.50 per page. Get details and recommendations on my website. If you have a longer novels or a picture book manuscript, you can get a critique at a discount by pledging through my Kickstarter campaign. Here's our first page critique submission for the week. Goblin Fruit is a YA, 21,500 words. Study it today and check back for my comments tomorrow. So far, no submission guidelines have been posted, so it's not clear how they are finding work to publish. The fact that the initial author is apparently well known may suggest that they are focusing on traditionally published authors, at least to start. They are also starting with digital distribution only for the Kindle, but are considering how to get their books to readers who use other electronic devices. 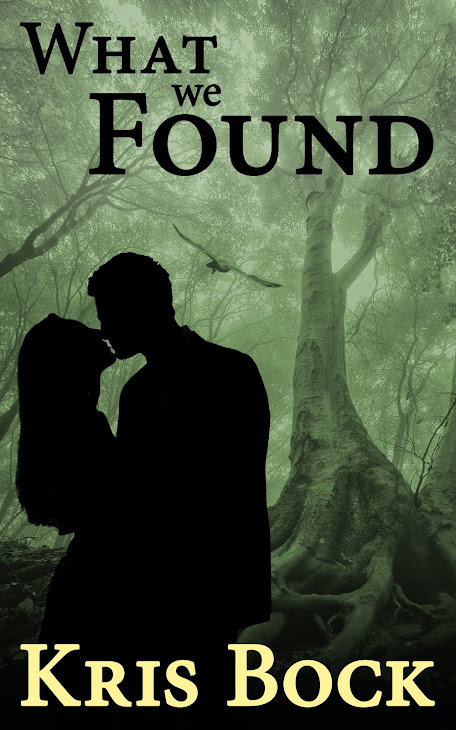 This romance review blog has a few more details from aninterview with Courtney Miller, Senior Acquisitions Editor for Amazon Publishing. Then Amazon announced their new mystery imprint, Thomas & Mercer Books. They’ve already signed some authors, including self-publishing evangelist Joe Konrath. Learn more about Amazon’s Imprints. So Amazon is providing some new opportunities, but so far they seem to favor authors who have already had at least moderate success. It will be interesting to see how traditional publishers adapt to this new challenge to their territory.